Drum Pulley Causes and maintenance measures that cause damage to self aligning ball bearing-Shandong Xinkaite Bearing Co.,Ltd. Before checking, clean the surface of the machine and remove the parts around self aligning ball bearing. The seal is very fragile parts, therefore need to be carefully removed, not excessive force, and then carefully check the oil seal and its surrounding parts, if have shown adverse symptoms, be sure to replace the bad oil seals will result in bearing damage and strict equipment downtime. When checking self aligning ball bearing, do not let the bearings be exposed to the environment of pollutants or moisture. If the work is interrupted, the oil paper plastic film or similar material should be used to cover the machine. If it is possible to carry out the inspection without dismantling, it is necessary to clean the unconcealment bearing. It should be cleaned with oil brushes coated with brushes, and then dried with a piece of uncoated cloth or dried with compressed air. Touch a touch of lubricant between the two fingers. If there is a contaminant, it can be felt, or a thin layer of lubricant on the back of the hand, and then the light is sealed. Oil lubricated bearings after removing the old oil, if possible, then fill the fresh oil and allow the machine to rotate at low speed for a few minutes. As far as possible, the oil can be collected to collect residual pollutants, and then the oil is removed, and the oil is best filtered first before use. 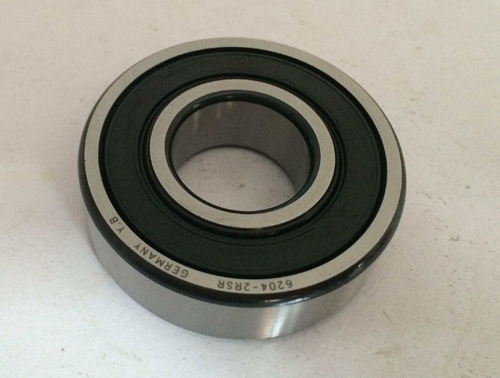 The use of grease lubrication self aligning ball bearing in the replacement of grease when Joe remover should avoid contact with cotton to any part of the bearing, because the residues of these fibers may wedge rolling pieces and caused damage, especially the application of small bearings should pay more attention to this problem.